As a kid I remember growing up in an age where the only places we had in a competition were 1st, 2nd and 3rd. When I started individual competitive sports there was only one medal and that was for the winner. Why is it that in today's society every participant must receive something in the way of a medal or a trophy simply by showing up. It has always been my belief that no matter how hard you try and prepare yourself for an event, the outcome is never guaranteed. However it pays off to be well prepared and ready as it gives you a better chance at winning. One should put a lot of emphasis in the process of preparation and doing the best that you can in whatever you decide to do, the outcome is something outside of our control. If we put too much stress on the outcome and we make it all about the reward we are surely to be disappointed sooner than later. 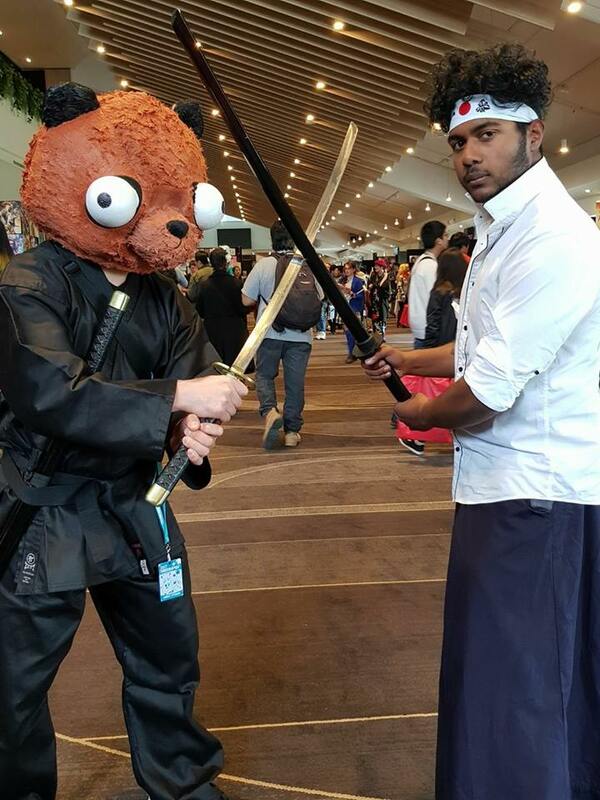 Over the weekend some A's Dojo Martial Arts Academy coaches and students decided to cosplay for the first time. They did not win any prices as the competition was very tough, however they had a lot of fun while preparing their costumes and getting out there regardless of the outcome. You won't win all the time in life, but the sooner you can be okay with this and understand that both winning and losing are normal aspects of life. The happier you will be to enjoy the preparation, learning and experiencing process. 5 things to look out for when joining an MMA academy. "Sanuk" and the importance of enjoying what you do.